Cellulosomes are multi-enzyme complexes assembled by cellulases and hemicellulases through dockerin-cohesin interactions, which are the most efficient system for the degradation of lignocellulosic resources in nature. Recent genomic analysis of a cellulosome-producing anaerobe Clostridium clariflavum DSM 19732 revealed that two expansin-like proteins, Clocl_1298 and Clocl_1862, contain a dockerin module, which suggests that they are components of the cellulosome. Bacterial expansin-like proteins do not have hydrolytic activities, but can facilitate the degradation of cellulosic biomass via synergistic effects with cellulases. In this study, the synergistic effect of the expansin-like proteins with both native and designer cellulosomes was investigated. 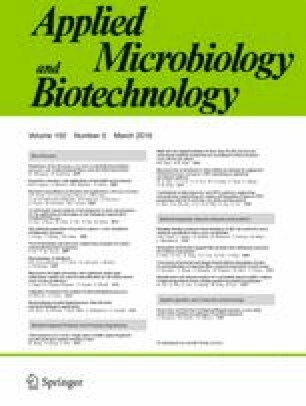 The free expansin-like proteins, including expansin-like domains of Clocl_1298 and Clocl_1862, as well as a well-studied bacterial expansin-like protein BsEXLX1 from Bacillus subtilis, promoted the cellulose degradation by native cellulosomes, indicating the cellulosomal expansin-like proteins have the synergistic function. When they were integrated into a trivalent designer cellulosome, the synergistic effect was further amplified. The sequence and structure analyses indicated that these cellulosomal expansin-like proteins share the conserved functional mechanism with other bacterial expansin-like proteins. These results indicated that non-catalytic expansin-like proteins in the cellulosome can enhance the activity of the cellulosome in lignocellulose degradation. The involvement of functional expansin-like proteins in the cellulosome also implies new physiological functions of bacterial expansin-like proteins and cellulosomes. The online version of this article (doi: 10.1007/s00253-015-7071-6) contains supplementary material, which is available to authorized users. This study was supported by the National Basic Research Program of China (973 Program, Grant No. 2011CB707404) and the National Natural Science Foundation of China (grant nos. 31270784, 31300035 and 31470210).